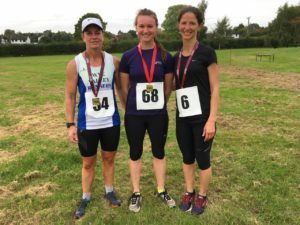 Seventy runners took on the Big Dipper 10K challenge on Sunday, September 24th. Some were newcomers while others come back every year and their ages ranged from fifteen to seventy. 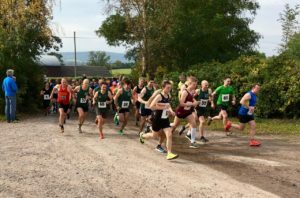 The course has some serious hills and a personal best is unlikely but everyone seemed to enjoy the event and the tea and cakes at the finish. 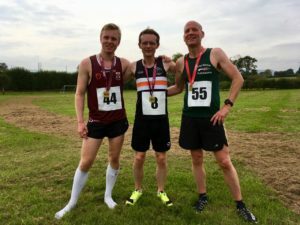 Neil Laurenson of Black Pear Joggers stormed home in a new course record followed by Felix Rusby of Penryn Plodders and Andrew Stephens of Monross Trailblazers. Isobel Rosie, who previously worked locally as a veterinary surgeon, returned to win the ladies’ race after a close tussle with Claire Sims of Wye Valley Runners. Suzette Botha was third. Monross Trailblazers were the first men’s team and Malvern Joggers first ladies. Seventy-year-old Phillip Howells intends to run seventy races this year and this was his fiftieth. He has been voted Britain’s most active pensioner and is well on the way to his target of 333 marathons. Upton Bishop Sports and Social Club are grateful for the support of Ross First Responders, Chaseview Veterinary Clinic, Chicory Crops, Newent Auto Centre, RP Joinery and Fleetcare Services.